The gaming community has one of the most enthusiastic fan-bases of any hobby. Improving technology combined with unlimited creative potential leaves individuals eagerly anticipating new announcements. 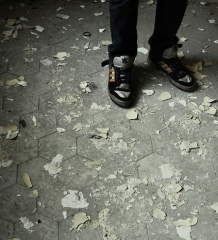 Unfortunately, the existential nature of software means that it can disappear without warning, leaving fans disappointed but clinging to hope for years. Sometimes, they are rewarded with a finished product, but other times it simply fades away, leaving gamers to reminisce about how great that game might have been. These are the five worst vaporware titles of all time, based on excitement and the length of time from announcement to release. Black Mesa is a project started by developers to recreate Valve’s classic hit Half-Life with the company’s more advanced graphics engine. Since its beginnings in 2004, Black Mesa has grown into a 40-person team dedicated to making 1998’s Half-Life a modern masterpiece with better graphics, more engrossing environments and stronger game-play mechanics, while still keeping the story line a generation of geeks fell in love with. Unfortunately, the first parts of Black Mesa were only released seven years later, in 2012, with more still to come at an unannounced date. The majority of players are giving the current finished pieces positive reviews, meaning Black Mesa has at least avoided an underwhelming showing. In 2000, the creator of the Sims franchise debuted what he called “Sim Everything.” Will Wright’s new vision was breathtaking, a game that took a life form from humble cellular roots to an all-power galactic empire. Players could mold their life forms, choose their policy and then explore an entire galaxy full of millions of planets. Speculation began at once and entire communities were formed to follow the game. But eight years passed, and instead of generating more anticipation each new release brought disappointments. When the game at last came out in 2008, the faithful complained that it had been tamed for a younger audience, and it experienced low sales. The second Fallout game hit the shelves in 1998 and became an instant hit for its quirky humor merged with violence. The series that recorded the history of an America decimated by nuclear war cultivated a cult following, though it would take 10 years for the next entry. It began development under Black Isle Studios, the same company responsible for the first two Fallouts. Then, in 2004, Black Isle went bankrupt and Fallout 3 began completely fresh under the care of Bethesda Softworks. The result, of course, was one of the top-ranked games ever created, considered to be a revolutionary title for its time in 2008. After Half-Life 2 proved to be every bit as popular as its predecessor, Valve released two additional chapters to the story, to be capped by a third finale to the entire Half-Life 2 story. The last installment was released in 2007, and Valve has remained almost silent about part three ever since. This has led to protests and boycotts. Then, in 2011, Valve stated that it would no longer be following an episodic mode, causing rumors to run rampant that it was the end for this piece of vaporware. Right now, the common consensus is that if consumers ever see this culmination, it will be after 2013. No list is complete without the ultimate vaporware: Duke Nukem Forever. Duke Nukem 3D was a popular game in 1996, featuring advanced graphics and a take-no-prisoners attitude that early gamers relished. The sequel was promised soon afterward, but economics intervened. 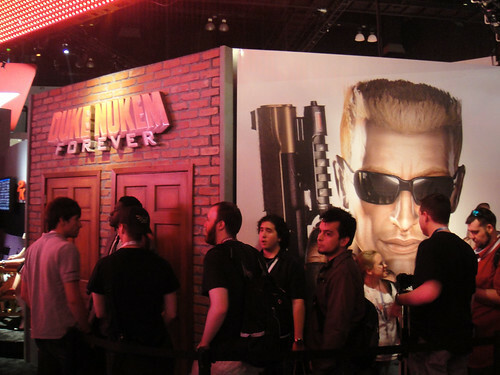 Duke Nukem Forever survived the dot-com bubble and several studios, as well as starting over multiple times. At last, 15 years after Duke Nukem 3D, the game launched to middling reviews and great relief for everyone involved. Randy Porter is a software engineer and guest author at HowDoIBecomeA.net, where he contributed to the guide on becoming a software engineer.